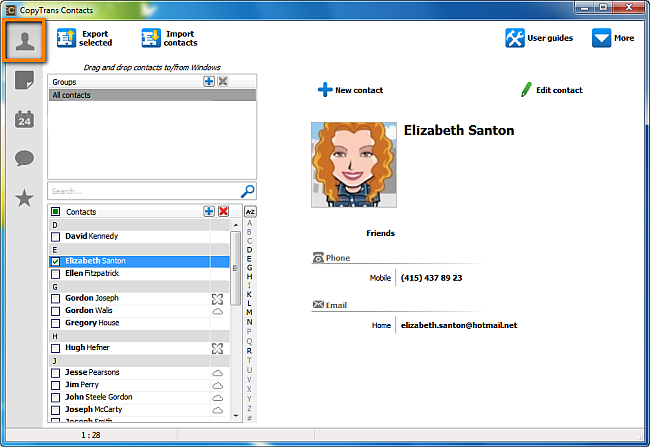 How to export iPhone contacts to Windows Contacts? 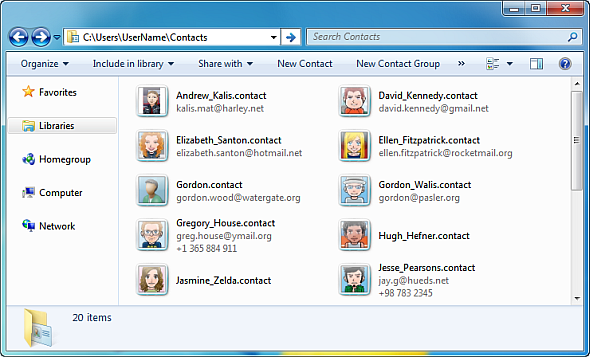 Home » How to export iPhone contacts to Windows Contacts? 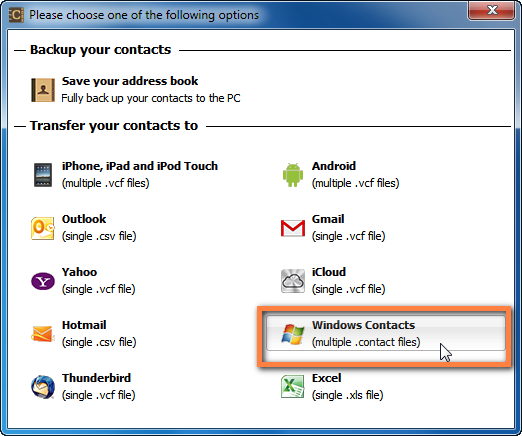 This quick guide shows how to transfer iPhone contacts to Windows Contacts using CopyTrans Contacts. 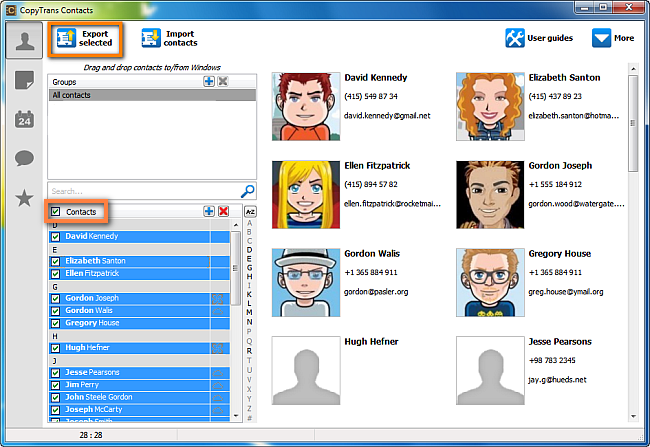 It works with all iPhone and iPad models and with all the latest Windows versions including Windows 10.